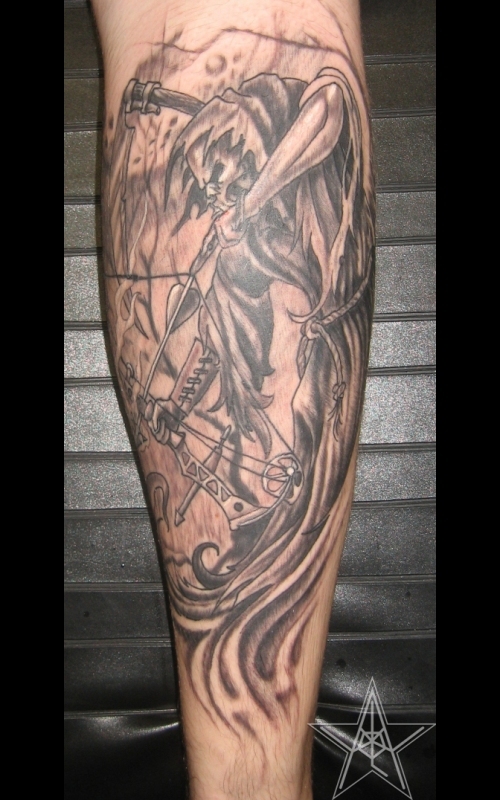 Grim Hunter Custom Grim Reaper bow hunting tattoo. Lady Reaper Female Reaper from flash. 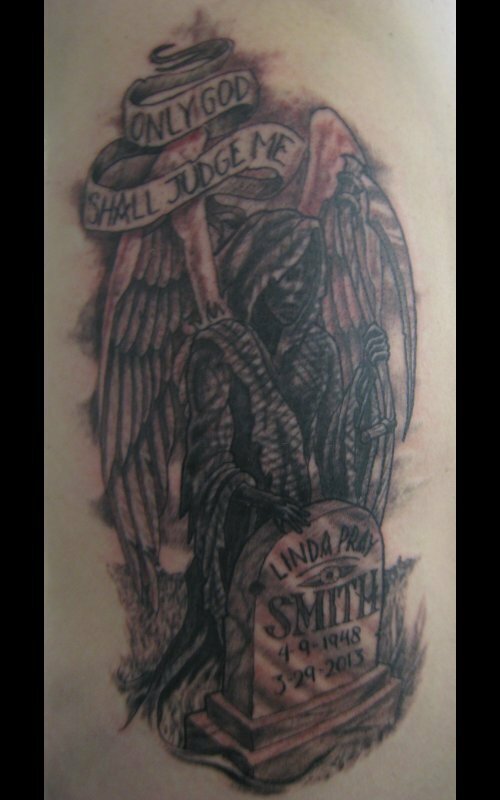 Grim I Custom freehand grim reaper tattoo. 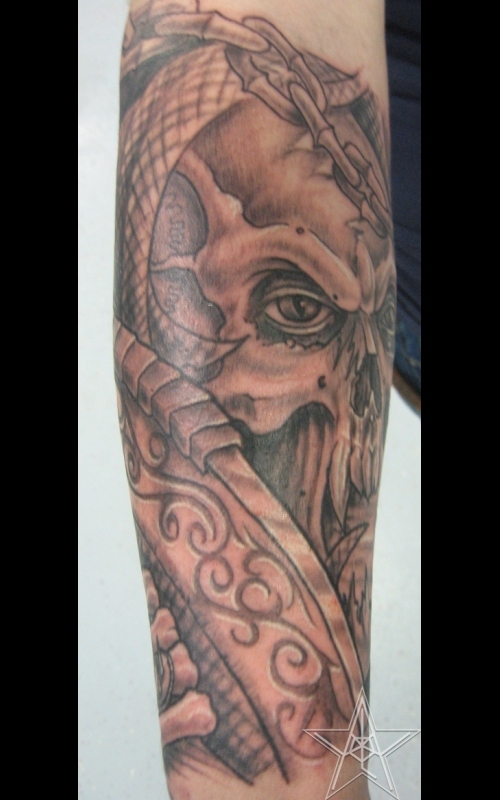 Grim II Custom freehand grim reaper tattoo. 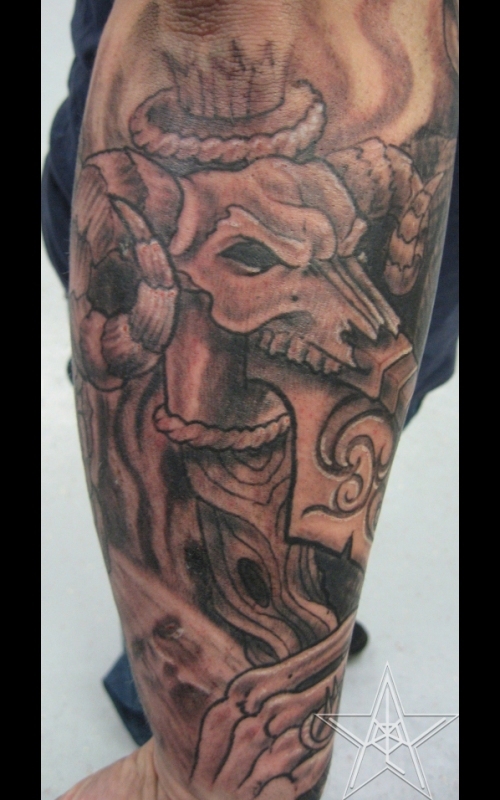 Grim III Custom freehand grim reaper tattoo. 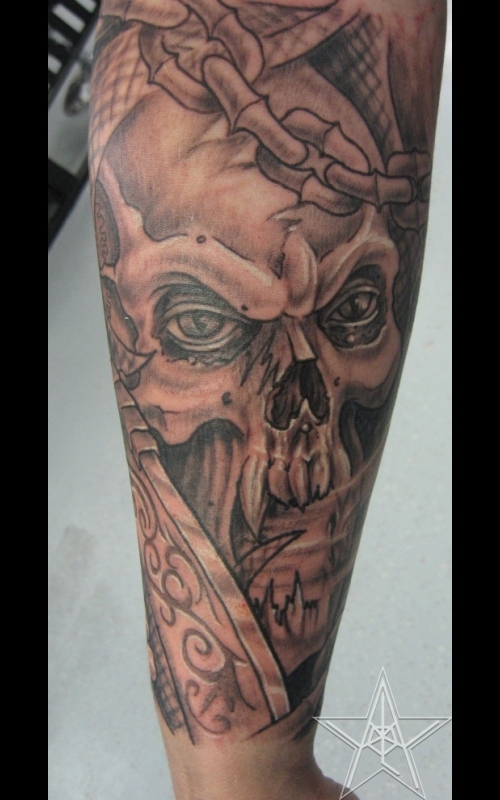 Grim IV Custom freehand grim reaper tattoo. 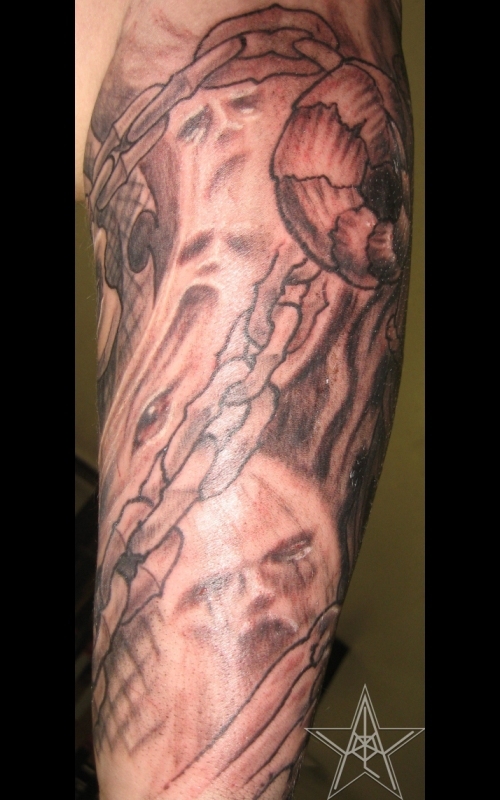 Grim V Custom freehand grim reaper tattoo. 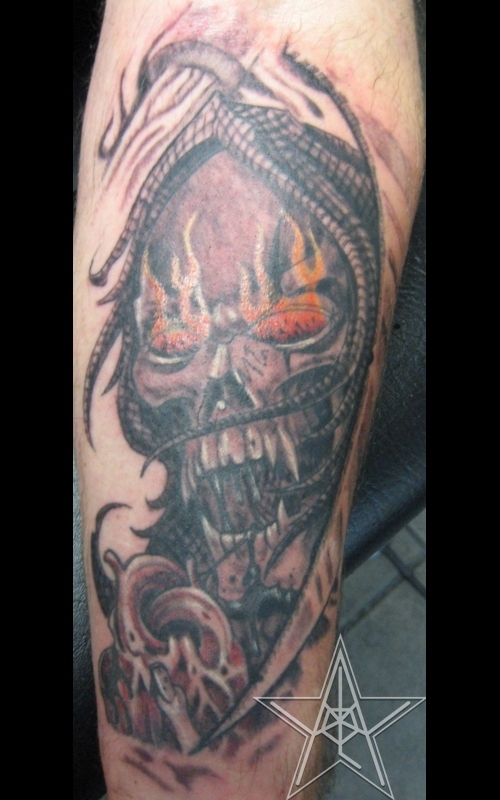 Burning Hatred Custom freehand grim reaper tattoo. Accomplice Grim reaper with raven tattoo. 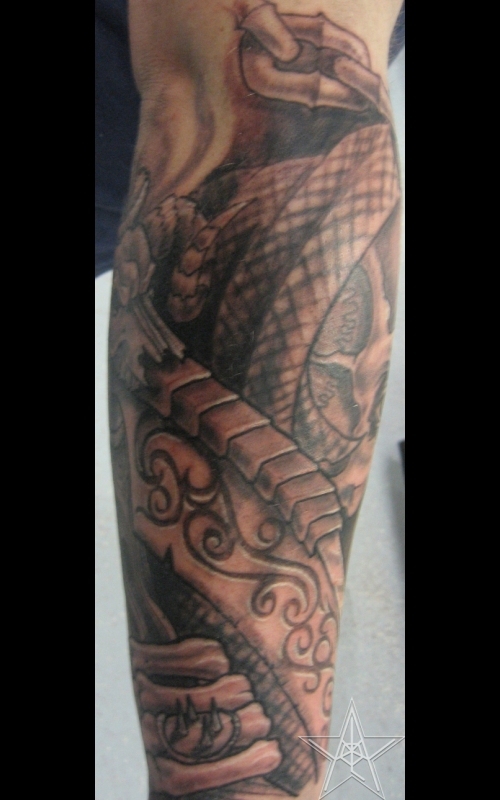 End of Time Custom freehand grim reaper breaking hourglass tattoo. 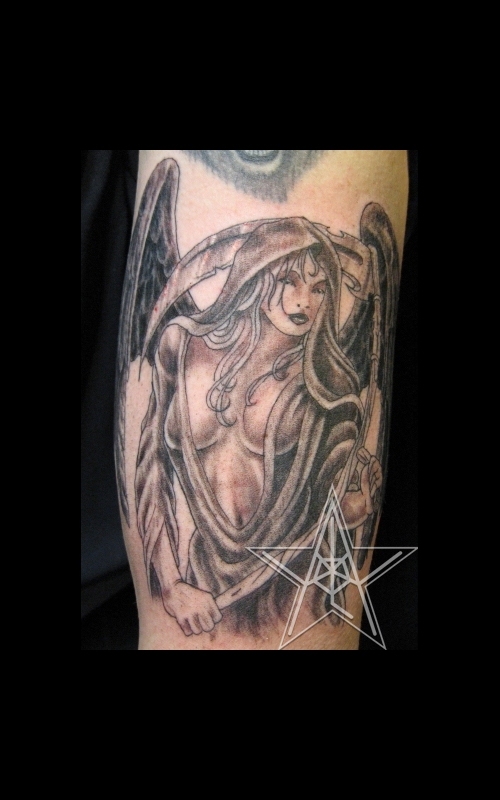 Grim Cover Grim Reaper cover up tattoo. 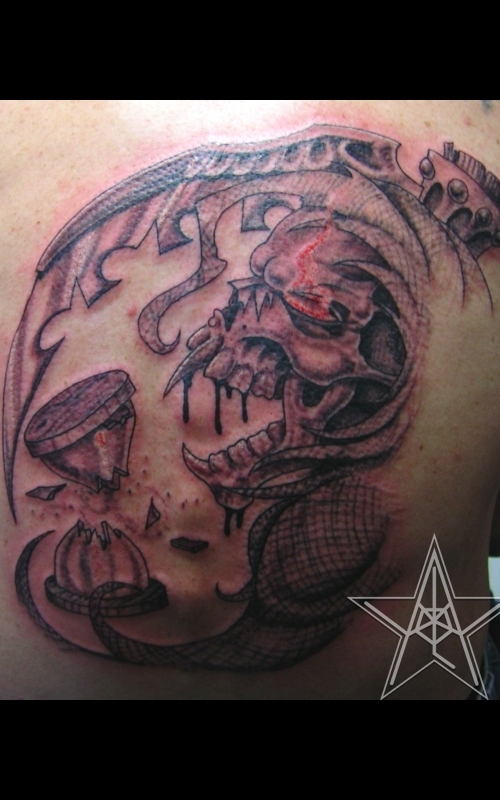 Reaper At the Grave Dark memorial tattoo. 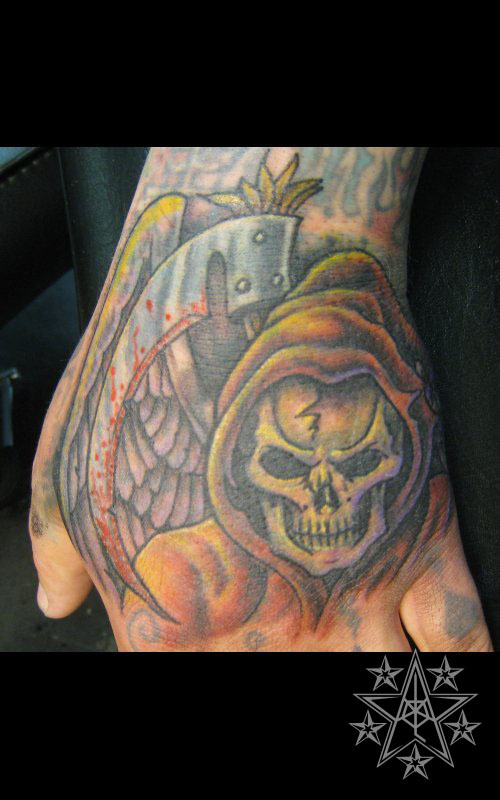 Death Touch Grim Reaper hand tattoo. 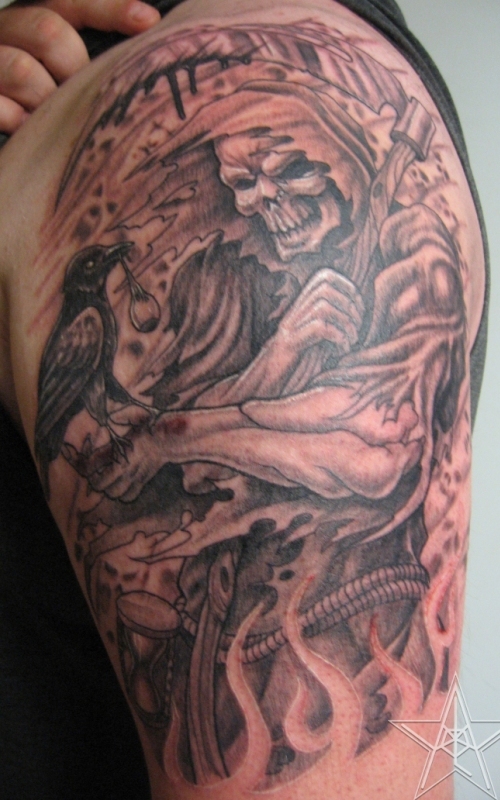 Grim Reaper tattoos by Ray Reasoner Jr.